Science and religion are the two most dominant forces of humanity in the search for the ultimate meaning of life and the universe. Are these two forces reconcilable? If yes, what are the possible grounds for their synthesis? Could the recent developments in science and technology about human nature and the cosmos enable us to explore religious wisdom in new ways? In the pivotal times like ours, what role could science and religion dialogue play in restoring world peace? Moreover, what implications would this dialogue have on our future scientific researches? 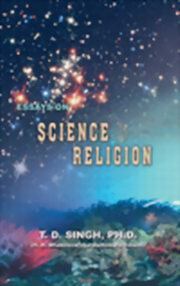 Reflecting on some of these profound issues, Dr. T. D. Singh (His Holiness Bhaktisvarupa Damodara Swami) presents in this volume four groundbreaking essays on science and religion. These four remarkable essays by him provide useful insights about the relationship between science and religion in our continuing quest for the deeper understanding of life and the universe.